(1) Straight Shooting (1917) This was 23-year-old John Ford’s first directorial effort (“Jack Ford,” as he was billed at the time), and it’s a remarkable document as well as a good, solid archetypal western film. Here in a compact 60 minutes is the John Ford western fully formed, with some images and frame compositions as striking as anything Ford would do later on. Harry Carey, Ford’s favorite leading man, demonstrates the mold into which Ford would later pour young John Wayne, and which would remain Wayne’s forever after that (see the last shot of the Duke in The Searchers for his and Ford’s conscious tribute to Carey). 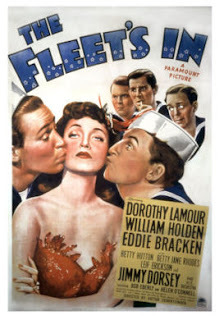 (2) The Fleet’s In (1942) This wartime musical combined Dorothy Lamour, new-minted leading man William Holden, and an excellent score by director Victor Schertzinger (music) and Johnny Mercer (words) that included the perennials “Tangerine” and “I Remember You.” There’s a touching story connected with the latter song, recounted in the Cinevent program notes. Schertzinger, a popular and respected man on the Paramount lot, died unexpectedly midway through production on the movie, and shooting was closed down for a time. When they resumed work, the first day’s shooting was devoted to Lamour’s rendition of “I Remember You.” The practice, of course, was for the performers to lip-synch to a playback of the soundtrack, recorded weeks earlier. 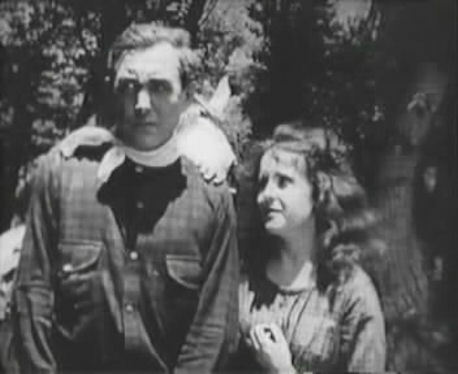 As they reached the end of the first take and the sound man allowed the playback to continue past the end of the song, Schertzinger’s voice unexpectedly came over the loudspeakers, complimenting Lamour during the original recording session (as both director and composer) on her excellent performance of the song. The sound of his voice (combined, no doubt, with the sentiment of the song) was too much for Lamour, and she simply fell to pieces on the set.